A little adonis DNA...a little tiger blood...dear GOD MAN...I have created WINNING! Charlie has single-handedly given us the recipe to be winners. Some people have dismissed this recipe, but they are haters and will be losing. 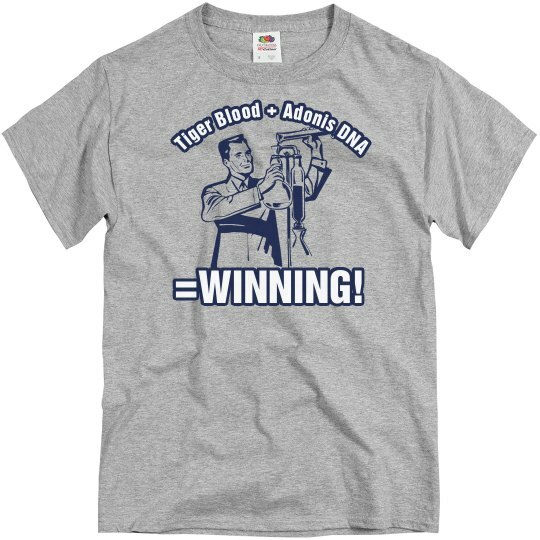 Custom Text: Tiger Blood + Adonis DNA | =WINNING!